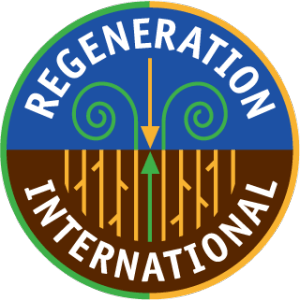 Regeneration International seeks to reduce global warming by promoting regenerative organic agriculture. Regenerative organic agriculture uses photosynthesis and various farming and grazing techniques to reduce carbon emissions from the farming and food industry and sequester carbon in the soil. Beyond the environmental benefits of removing carbon from the atmosphere, these techniques improve soil health, increasing crop production and fostering resilience and improved livelihoods for small farmers. Organic agriculture also reduces dependence on pesticides, which threaten the health of farm workers, consumers, and ecosystems.